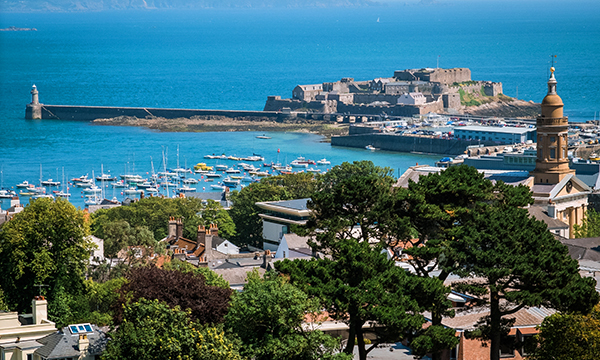 The island of Guernsey in the English Channel has plenty to offer: beautiful countryside, miles of beaches and mild winters. But, like the UK, it finds recruiting nurses a challenge. Adult community services service manager Fiona Robertson says the island can offer fantastic opportunities for nurses, particularly those wishing to work with older people with mental health problems and complex conditions such as dementia. Ms Robertson says the state-funded health system offers excellent facilities for patients and staff. ‘We don’t have any junior doctors on the island, so the nurses have to be far more vociferous advocating for their service users, and manage their complex care more autonomously,’ she says. Experience is less important than passion and a commitment to the needs of older people, she says. The health service follows Agenda for Change pay scales, although newcomers can expect to receive enhanced benefits packages of more than £10,000 over a 4-year period, which includes subsidised accommodation allowances and payment of professional subscriptions. The benefits packages take into account the higher cost of living in Guernsey, compared with the UK. Newcomers to the island, which has a population of 68,000, receive an initial 5-year licence to stay, which is then reviewed before the expiration date. Guernsey also trains and develops nursing staff through courses run by the island’s Institute of Health and Social Care Studies, in partnership with Middlesex University. Becky Shorto is a newly-qualified mental health nurse who has just finished her preceptorship. Ms Shorto says her first job working on an older adult mental health ward in the Princess Elizabeth Hospital in St Andrews has been a positive experience. Ms Robertson says people who are drawn to island life find Guernsey a great place to bring up a family. ‘Education for children on the island is of an exceptionally high standard, there are low crime rates and it is beautiful. ‘An outdoor life really comes to the fore,’ she adds. Find out about Guernsey job opportunities here.